This termination notice is specifically used when a tenant falls behind on rental payments. If you have a tenant in Newfoundland or Labrador who owes rent and cannot or will not pay, the first step in the eviction process is to serve them with this form. If the tenant refuses to pay rent promptly, the lease will be considered to be terminated, and the eviction process can continue forward. This notice gives the tenant a chance to pay what they owe or vacate the premises, and it gives you documentation that notices has been properly given before eviction. Who: You, the landlord, will give this notice to any tenant who fails to pay rental fees consistently and on time. If the tenant is more than 15 days late on monthly rent, you may go ahead and serve this notice so that you may begin the eviction process. What: This form is the required notice under the Residential Tenancy Act that you must give your tenants in order to give them a chance to pay the rent they owe or to vacate the premises before eviction proceedings begin in earnest. When: The NL Notice to Terminate for Arrears in Rent will be given to any tenant who has fallen behind on paying rent on a fixed term or monthly rental agreement. You can and should serve this notice to your tenants if they have not paid rent and/or any late fees 15 or more days after rent is due. You may also serve this notice if a tenant has a weekly rental agreement and has not paid rent or any late fees three days after the due date. IMPORTANT: If you give this notice to your tenant and they pay the amount due on or before the specified date in the notice, then this Notice to Terminate for Arrears in Rent will become void. However, if you serve a tenant this notice twice or more within a 12-month period, this rule will not apply, and you may continue with the eviction process after notice is given. 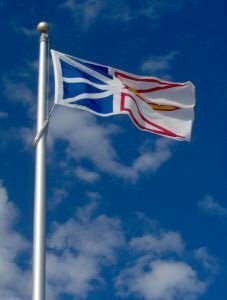 Be sure to follow all Newfoundland and Labrador laws and regulations concerning proper eviction to ensure that you are acting within your rights as a landlord.